I need a long horizontal painting for one of my bedroom walls. I think what I'm going to do is cover a frame with heavy white fabric and paint something like this on it (only horizontally). 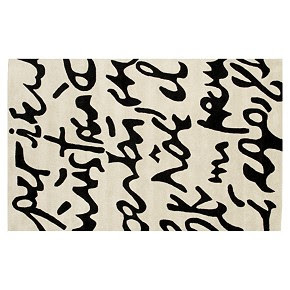 This inspiration rug is from CB2. And of course when it happens, I'll post it on my blog.